Nathan is the musical director & resident pianist at Piano Bar Soho, working with many internationally-acclaimed artists, to produce world class live entertainment. Recent performances include the UK premiere of the Miles Davis film ‘Miles Ahead’, London & Barcelona Jazz Festivals. Broadcasting on major radio and TV stations (BBC, JAZZ FM & London Live TV). Welsh-born Andy Davies has made a name for himself as London’s king of bebop. As compère & resident trumpeter for Ronnie Scott’s Wednesday jam, Andy and his band are born entertainers who never fail to impress audiences with their energetic performances and spectacular improvisations. Ariwo are a Cuban-Iranian collaboration focussing on the unexplored intersection between electronic & afro-cuban music. Ariwo, meaning "noise" in Yoruba, consists of Manana's director of sound Pouya Ehsaei alongside Latin Grammy Winner Hammadi Valdes , Yelfris Valdes & Oreste Noda (Buena Vista Social Club). Reggae-influenced funky-soul artist, Nakisha Esnard entertains audiences with her renditions of pop hits, soul classics and original jams. A cultural blend driven by her powerful vocals and ukulele or guitar strumming. 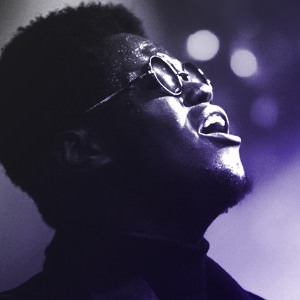 At 23 years old, XamVolo’s unique style is described as “a messy mind over raw, dark jazz grooves”. Xam has worked with EC1 Music on a variety of projects and recently signed with Decca Records (Universal). He is one of the most exciting new artists of our generation. Nick and Kitty are a compact jazz combo whose fantastic sets entertain audiences around the globe. Kitty’s liquid gold vocals and syncopated jazz brushes are coupled with Nick’s authentic blues singing and virtuosic piano playing. As resident at the prestigious Rosewood Hotel, this timeless duo are no strangers to high profile events for various celebrities and royalty. Cuban trumpet virtuoso & grammy nominee, Yelfris Valdés has been making waves since moved to London in 2014. He the lead trumpeter of Yussef Kamal (Giles Peterson Worldwide Awards) & ARIWO but is also working on his debut jazz fusion project with EC1 Music. Aydenne’s energetic & passionate performances have gained her a place as one of the UK’s top blues singers. Mama continues to wow audiences with her energetic performances and deep, powerful vocal tones. Billie Black is a stunning young jazz & electro-soul singer from London. Her voice is smooth & gracious and her wide repertoire of Jazz standards and original electro-soul material is beginning to gain some of commercial success through platforms such as 1Xtra, Majestic Casual, BBC Introducing. Aubrey is an American jazz-pop singer, trombonist & featured artist for the hugely popular US collective, Postmodern Jukebox. Frequently in London to promote her solo debut, Aubrey is on her way to becoming an international star in her own right. Tashomi’s positive energy has gained him a position one of Piano Bar Soho’s favourite players. Either with a DJ or as part of a jazz combo his powerful sound and soulful approach to the saxophone never fails to captivate audiences. This funky electro-jazz duo who produce pop & soul remixes and original material. Futuristically classy summer grooves, youth tested and elder approved. 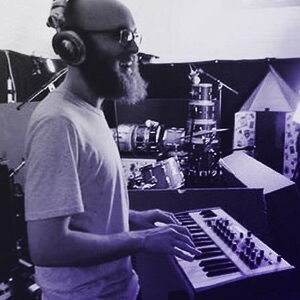 Live sets can feature a mix of electronic & live instruments. Huw Foster and Danny Sharples make up this new electro-funk duo featuring accompaniment on both digital and acoustic instruments. With already many festivals under their belt this guys are shaping a new wave of UK funk. Natalie Oliveri has infused her Latin Soul sound into the pulse of the music industry. With her angelic voice, creative compositions, and emotion-tinged lyrics, Natalie is on the verge of carving out her place among 21st century female singer/songwriters. 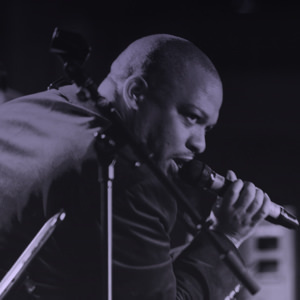 Lifford is one of UK’s leading vocalists, now predeominately a solo soul singer, Lifford has been in the charts when he has collaborate with garage act Artful Dodger, and working with Gabrielle. He has perfomed countless TV performances including Later with Jools Holland, Children in Need and TFI Friday. The Simians of Swing are no ordinary jazz group; they are story tellers in the great comic book tradition. Set in a post-apocalyptic world the Simians narrate their stories through the medium of jazz noir. Their recent success includes shows at the London Jazz Festival and the Southbank Centre.